Going shopping is fun, but I love shopping from October through January because of the seasonal decorations. Decorated store windows look so amazing that the view from the outside of the store is almost as interesting as the goodies inside the store. 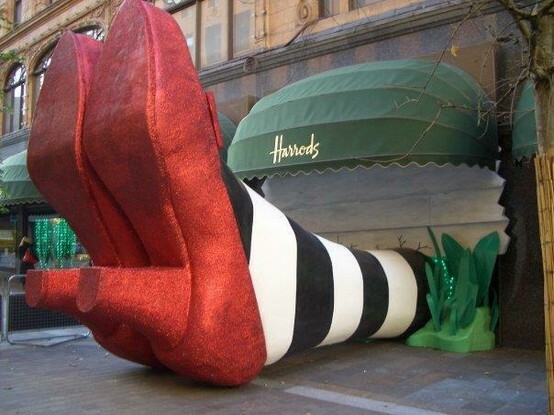 Halloween window displays can be whimsical and silly…maybe even a little scary! 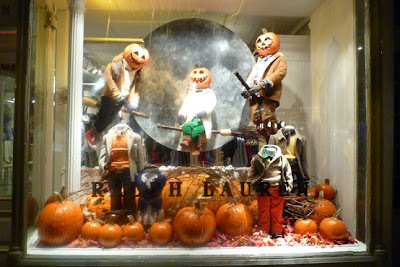 Here are some of my favorite Halloween windows. Harrod’s got it right with a tribute to the famous witch everyone recognizes by her stockings and her shoes. Ding dong the witch is dead! Ralph Lauren puts a little fun in Halloween with this store front. This display reminds me of the Day of the Dead decorations in Mexico that portray skeletons and other figures in everyday scenes. Rows of pumpkins are simple and understated, yet elegant. 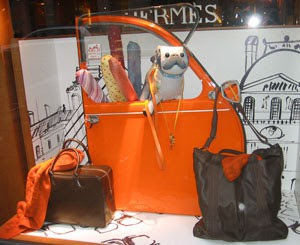 Hermes proudly displays seasonal color stories of orange and brown. 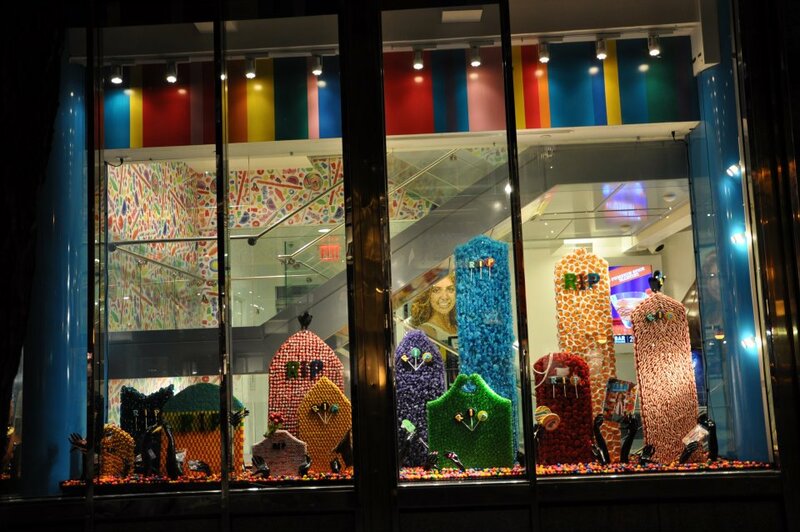 Dylan's Candy Bar showcases the sweetest graveyard in their Halloween window display. These sweet treats look and taste great. Do you decorate your windows for Halloween? What Halloween store displays have you seen that you love? 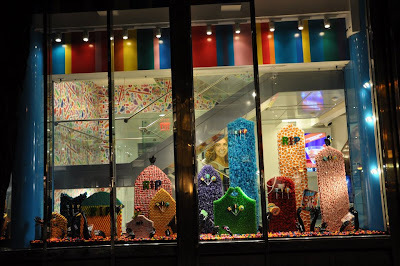 Oh I just LOVE the Harrods and Dylan's Candy Bar displays! They are perfect for halloween! I love love love the Harrods one. Love them! They are all great! That Harrods window is too much!!! They rival the Christmas displays (almost! ).